Over the past few years, I have been spending quite a bit of time trying to make sure the food in our house is not only healthy, but delicious. While some people diet, I have been trying to change our overall eating habits as I lose weight, trading convenient foods for things that taste great and are filled with nutritious ingredients. One of the things I was determined to get rid of this year were sugar filled fruit juices. Not only that, but I have been hearing all over the place the health benefits of juicing and how it’s a great way to add more fruits and vegetables to your diet. My only problem was that I didn’t have a juicer. As I was researching into different juicers and trying to look for the perfect one, I discovered the Fagor Slow Juicing Platino. Curious to know more, I reached out to the company, who was delighted to have me review their latest juicer! Looking for a high quality juicer that is perfect at extracting juice from your favorite fruits & vegetables while keeping as many nutrients as possible? If so, we think you will love the Fagor Slow Juicing Platino. This slow juicer is BPA free and has a beautiful black and gunmetal design that is not only compact, but light! This slow juicer does not oxidize or separate, allowing you to preserve more organic nutrients from your food and keep it in as much of its natural state as possible. As well, with its 2 step juicing process, it extracts juice twice from the fruit without squeezing or shredding your food, giving you a dry, dehydrated pulp and delicious juice. With this easy to clean and compact juicer, you will find that juicing is not only healthy, but fun! When my juicer arrived, I will freely admit, I was like a little kid. After all the wonderful books and things online I had read about juicing I couldn’t wait to get started. The next day, I bought just about every vegetable and fruit that I could find at a reasonable price, including spinach, strawberries, oranges, blood oranges, and bananas. I just couldn’t wait to get started juicing. When I took the Fagor Slow Juicing Platino out of the box, the first thing I noticed is that it was mostly together and very simple to set up. I had the whole unit cleaned and together in less than five minutes, which I thought was a pretty impressive feat. Not only that, but it took up very little room on my counter, one of my husband’s biggest concerns with adding another kitchen appliance to our kitchen. While it being easy to set up and put together is obviously important, it still didn’t say how well the machine juiced. Once I had my fruit cut up and ready to go, I was amazed at just how easy it was to get the machine not only going, but juicing. Within minutes, I had juice from the oranges I squeezed and very dry pulp that was neatly coming out of the chute. Like most juicers, there was still some pulp in the juice, but this wasn’t a big deal to us – we tend to prefer beverages with pulp. Once I had enough for about 3 glasses of juice, I turned off the unit and unplugged it for cleaning. Just like juicing, cleaning was a snap. The entire unit was apart and both of us cleaning it together in no time! So far, I adore my slow juicer and don’t know how I got along for so long without one. I right now can’t even imagine buying store bought orange juice after making my own. Based on our own experience with the Fagor Slow Juicing Platino, I am happy to give this juicer an A+ rating and recommend it to everyone who is considering buying a juicer! Would you love to purchase this awesome juicer for yourself and your family? Currently, you can purchase the Fagor Slow Juicing Platino on Amazon.com & other retailers for $199.95. Once you have tried this awesome juicer, you will see why my family and I are now addicted to juicing! I love that the juicer is easy to set up and BPA free. My current one takes up quite a bit of time assembling and cleaning afterward. Would definitely check this out. Thanks! My neighbor has one and just loves it – easy to clean! After reading about this slow juicing, it makes me want on. The blender I use not so great. This looks just delightful. Thank you for sharing with us. I didn’t know the true value of a juicer before I read this. Very informative. Thanks for the review. Fagor is a good name and we have been thinking about getting a juicer. I have wanted to try one for a while. The price is a bit high. I have tried juicers, but not recently. I have memories of tedious clean up and hardly any juice. I would love to juice, if it was easy to do, clean up was easy and I didn’t have to buy out the produce department to get only a few glasses of juice. Your review didn’t mention how much fruit was needed for a glass, but the Fagor Slow Juicing Platino sounds like it would fit most of my requirements & hopefully all of them. it’s the set up/clean up that keeps me from juicing! Could you please comment on how well (or not) this machine juices celery stalks, chard, cilantro, ginger root, and other such “stingy” veggies? Thanks so much. So far, no problems. I haven’t had any string in my juice yet. That cracks me up that you acted “like a kid” when you got the juicer. That is exactly how I would act. Go buy out the organic produce section at the store 🙂 I have been wanting a juicer a long time. Such great health benefits. We do smoothies every morning but only use a blender so we have to buy store bought juice and cannot add some of the more beneficial veggies such as carrots, beets, etc. And for the record…TOTALLY uncool to have that gorgeous glass of orange juice at the end of the post. Now I am craving freshly juiced orange juice! I’ve been reseraching what juicer my family should invest in and the Fagoe Slow Juicing Platino looks perfect! I love that assembly and clean up are fast and easy. I also love that it doesn’t seem to make a huge mess all over the counters. The fact that the price is so reasonable doesn’t hurt either! Love your review on this Fagor Slow Juicer. There’s nothing like fresh juice and it’s a sure way that I can maybe get my kids to intact some veggies. I like the idea of adding veggies to some fruit to get the benefits of both. I would really like to have one of these. We would put it to use probably every day. I had a juice extractor many years ago, but it was the old type that spun at about 10,000 RPM and shredded the fruit or vegetable as it went in. It was noisy and messy and a real pain to clean. This juicer looks like it would be easy to take care of. Thanks for the review. I own the Fagor Tabletop Halogen Oven, which I’ve had for a few years and I’m VERY impressed with with the Fagor name. I’m not surprised that you are in love with the Juicer. I definitely want to add a juicer to my kitchen. I began receiving organic produce delivered weekly about a month ago and I could make very good use of it with a Juicer. I ak trying to stay away sugared fruit drinks as well and have also been longing for a good juicer. This Fagor juicer looks great, and seem pretty easy to use and clean. I also like that it separates the leftovers into a separate container that i could easily carry to my compost bin. I really like the fact that this is BPA free. I think the idea of a two step juicing process makes sense. I think much of the juice in other juicers, stays in the pulp. I like that it doesnt shred the fruit because I hate pieces of fruit in my juice. I like no pulp. Plus it seems like this one extracts everything so you are not wasting food. My kids would have fun with this and its healthy! Looks simple to use and looks very nice. My husband would just love it if I won this juicer. Thanks for the chance. 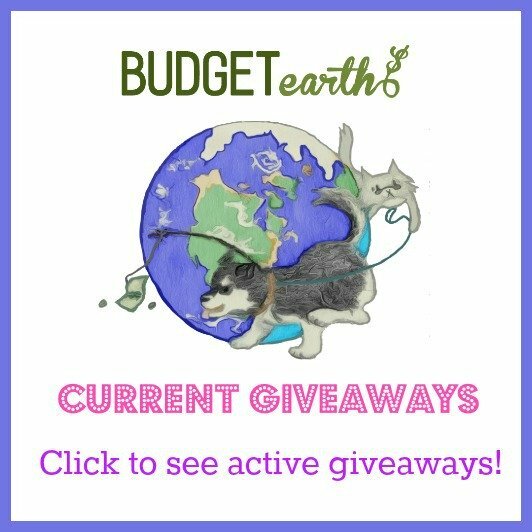 I was just looking for a juicer and here’s a contest that might save me some money! That is, if it has the features I’m ultimately looking for?! This is a beautiful juicer and I would love to have it. I love that it comes with two containers one for pulp and one for juice. I prefer that the juicer leaves a little pulp and then I don’t have to add it back in. I had an older juicer that was so hard to clean that I just didn’t use it. 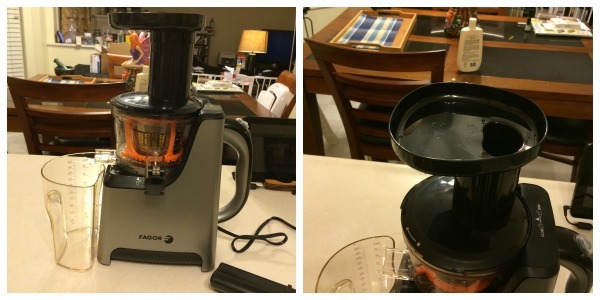 From your review, I learned that this juicer was easy to clean which is a big plus for me. This would be a perfect way for me to get my vegetables. I don’t like to eat them. I’ve found when they are mixed with fruit, they taste pretty good. I have been a vegetarian for 40 years and I am always on the lookout for tools to enhance and improve my diet as well as that of my family (not vegetarians). This juicer and and the overall juicing method looks amazing. I have a juice but find I do get some strings when doing celery etc. This is right up my alley and it does look pricey it seems well worth it. Thank you for the wonderful review. Hopefully I will win and will also write a review on my blog thanks! I am so excited to try this I have wanted to juice for the longest time and this would be the best late wedding present ever. This sounds like a great juicer! I like that it’s fairly compact and easy to clean. I currently use a machine that just grinds up everything…I think I would prefer this one as it takes out most of the pulp. We have wanted a juicer for some time, but have been unable to afford one. This one looks awesome! Thanks for the giveaway! This seems like a really easy to use juicer. I have a juicer my mom gave me that looks like it’s from the early 90’s. It’s not my favorite kitchen appliance! I would love to have a nice one like this. Looks easy to clean too! This review was very informative. I currently make green smoothies with my blender, but the possibilities are endless with this juicer. This looks like it has everything I have been looking for in a juicer–small on the counter, easy to use and cleanup. I’ve been reading some great sounding recipes for juices as well as ways to use the leftover pulp. I had a juicer for years and loved to make a variety of juices. However, clean-up was a PAIN! I am glad to see that with this juicer, the pulp comes out separately and doesn’t get all stuck in the machine like my last one. Looks good! Would love to have a juicer. I enjoyed your review of this juicer. You addressed a lot of the details and have convinced me that this is the juicer that I need. Thank you. Do you do anything with the pulp besides compost it? I wondered about adding veggie pulp to recipes and soup. What a great juicer. Would love to have one! I would love to get a juicer someday. Especially as my boyfriend has stomach bypass surgery so it would be great to make him easily digestable fruits and veggies for vitamins and such! I’ve been researching juicers for awhile now & desperately want to get one. I hadn’t come across this one yet & it seems to have all the features I’m looking for & at a decent price point. Thank you so much for the review! Thank you for posting this review, it was really informative. I’ve never used a juicer before, but this really interested me! I actually did this last night – a green shake with spinach, mint,and a variety of different fruits. It did a fantastic job juicing the spinach. It was smooth, tasty, and super easy to clean! I have not tried juicing, but can see this product would be a great benefit to have in pursuing healthy lifestyle. We always have juice, usually orange on hand at our home. I certainly would benefit from more fruits and especially vegetables as both are not really favorites of mine. I like that this juicer is easy to use and to clean and is compact. Before I would purchase any juicer, I would love to try some of the actual juice which is probably wonderfully tasting. I own a Fagor multi cooker and love their brand. I have wanted a juicer for a long time and this seems like a really great one. I have a bunch of juicing recipes I want to try with this machine. I’ve often thought that I’d like to get a juicer but wasn’t sure if I would end up using it enough to warrant the price. This one sounds reallh efficient, plus I like that it is easy to clean. I love the fact that the juicer is BPA free & is easy to clean up. Another useful tip is that once you juice your veggies, you can always heat it up for a delicious & healthy soup. I’m sold on the whole easy set up and clean up thing. I’d love to try this Fagor juicer and might have to purchase one ASAP. I’ve always heard that a slow juicer gets more nutrients from the fruits and veggies than other juicers. I love that this is BPA free and so easy to assemble and disassemble for cleaning. Would love to own one of these. After reading your review and having been researching juicers for some time, the Fagor Slow Juicer seems to meet all expectations. Thanks much for the review. I am excited about the fact that it juices the fruit & vegetables twice,this is not only economical but it gives you all the juice that it can get out of your fruits & vegetables. It looks like cleaning it is a snap also which saves time & mess! I’ve always wanted to try to start using a juicer to try making green drinks. This looks great! I love that this is so simple to set up! So many of the juicers come with a million parts that are just confusing. I really want to start drinking all natural juices as part of my dieting and need one of these machines to do it with. Thanks for the opportunity! we have so much fresh food coming from our garden- spinach and kale and carrots! I’m in heaven I want a juicer so badly so that we can eat it all up. Oh and make popsicles for the summer out of fresh juice! This thing looks PERFECT! Have you juiced wheatgrass or other grasses like oat grass or barley grass? I burned out the motors on a couple of cheap juicers before I got a Champion, but it did not juice leafy greens or grasses well at all. I love pulp in my juices too 🙂 This looks very easy to use and the easy to clean is my favorite part. I would love to use this juicer because the juicers that I have used in the past would waste fruits and vegetables by not extracting enough juice from the produce. I am very happy to to see a juicer that is reasonably priced and easy to use. I like that it is easy to clean and light weight and not big and bulky like some others are. this would be so helpful and healthy for the kids and family. a way to get the kids to get the stuff they need. Sometimes we underestimate small appliances with great performance. I read a lot of about Juicers and yes great quality Juicer should live very dry pulp to get most juice out of it. Having animals or a garden even pulp wont go to waist! This juicer appears to have what I’m looking for. I like that it doesn’t oxidize and that the juicer is easy to clean. Until now, dismantling, reassembling, and cleaning the typical juicer always seemed like a dauntless task to me. I have been wanting a juicer for a very long time. My ex-husband was against it because it would cost too much and waste too much!! I have incurable Chronic Leukemia, and I have been all I can to eat healthy and keep myself in the best health that I can. I have battling this for the last 12 years. Having a juicer for making my own fresh juices would have SO MANY added health benefits!! I’m now dreaming of all the juicing that my family & I could easily do with this juicer. It would be so cool to win this. The price is reasonable so we may invest in one soon. Like the fact is so easy to assemble and to use, plus cleans easily. I have diabetes and my husband is getting an operation in few weeks and would love to have this to make things healthy for us both!! Thank you for the great review. I have been looking at juicers for almost one year but still unable to afford quite yet. I can’t wait to start juicing to get the nutrients I am missing from my diet. Thanks so much for your review. This juicer sounds amazing and I am very interested in this product. My husband and I have recently been discussing the fact that we need to begin a more healthy diet. The Fagor Slow Juicer would really help us to reach our goals! I like that it was easy to assemble. I am looking to change my dietary habits too. This juicer looks amazing! I really want to do a juice cleanse and I think this would be a great option! This is a fabulous review! You did a great job covering all the details!! We have been shopping around for a juicer for a while now and this one looks perfect!! I’ve been wanting a juicer for a while now; my family and I are also trying to eat healthier foods while trying not to diminish taste. This product looks fantastic, I love that it’s so easy to clean. That’s one of my biggest concerns about new appliances – if it takes longer to clean than it does to use it, it’s probably not going to make it into my kitchen. Thanks for the great review! This sounds like a really nice juicer. I have a “cheap” juicer that really does not get the job done and have been trying to save up to get one that does the job I need it to. I never owned a juicer. After reading about this juicer, I’m very excited to win. It would e so easy to use! I’m so excited to know that I might win this juicer. Thanks for giving everyone a chance. I read the information above on this juicer. It sounds like a really nice one! The Fagor Slow Juicing Platino is an attractive appliance.I like that it extracts juice twice from the fruit. I liked reading in the review that it’s BPA free, light weight, compact and easy to clean. Right now I only have a blender to make green smoothies with kale. I would love to have a juicer since my good girlfriend has one and told me all the wonderful recipes she would share. I am trying to eat better food for my health and the juicer would definitely be beneficial. My current juicer is my the old fashioned one. With a fiance addicted to orange juice, I’m all for this beauty! Thank you for this opportunity to win this juicer!! I’ve been wanting one for awhile now, but haven’t been able to budget for it yet. This will be so great as I would be able to make healthier all natural items for my family that I know my kids will love. Almond milk and almond cookies made from the almond pulp are their favorite! That would be so awesome to win, I’m thinking of so many recipes for soups and juices already. I love that this is a slow juicer. It seems from what I’ve heard that that is the way to go! There are so many possibilities with this juicer! Since I’m diabetic, I can make my own fruit juice and it wouldn’t have all the added sugar that the stores sell. I also need to eat more vegetables. I would be able to make a combo juice with this!!! I have always wanted a juicer to try out but have never owned or even tried one yet. I would like to take fruit and veggies and experiment to see which combination I would like the best. Everyone says juicing is so good for your body so I really do need help with that and could really use one of these! 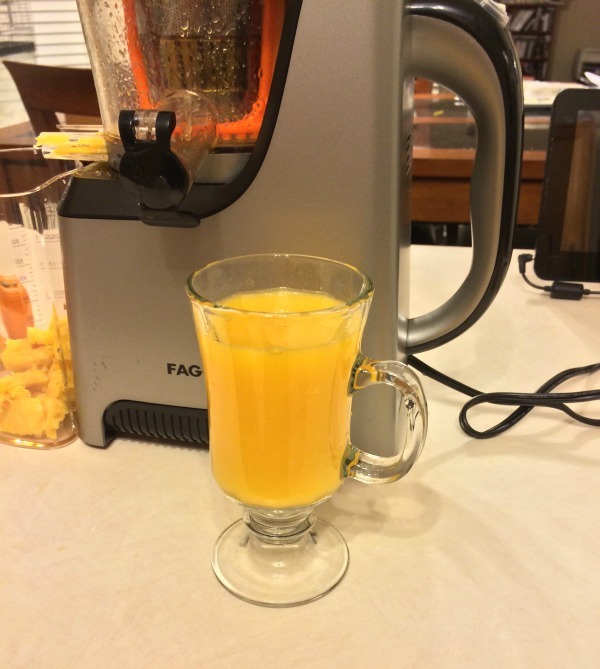 I would LOVE to win the Fagor Slow Juicer because I’m hearing more and more about the benefits of juicing. 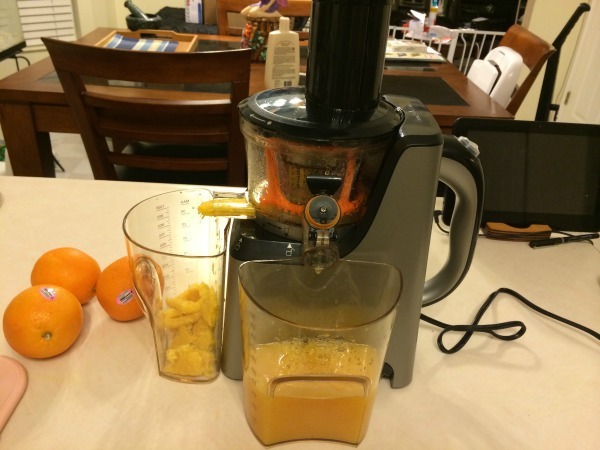 I bought my son a juicer for Christmas; it’s what he wanted and he feels so much healthier juicing. My other son would also love one. I would like one because I would like to feel healthier, as well. This is so exciting! I want to be able to make healthy juice for my baby to start with, none of the crap with so much sugar and junk in it! Such a great way to get more fruits and veggies! Thanks! I have always wanted a juicer and now that I am starting my weight loss program, this juicer would be great to use!! I have always heard great things about this brand so I know this one will be a great one too. Can’t wait to start to eat health finally!! Thanks for the review it would be amazing to own a juicer i would love to own this brand for sure. Thank you for reviewing how easy it is to clean, as that’s always my first question regarding kitchen applies (yes, even before “how well do they work?” ’cause if I can’t clean it, it doesn’t matter). I like pulp, so I will definitely keep this model in mind. Where are your glasses from in the last photo? I really, really like them, too! My glasses came from KOHLs a few years ago. They were a gift when my husband and I first purchased our home & I LOVE them! I like the Fagor Slow Juicer. The vegetables and fruits taste way better than the conventional juicers. I like fresh food and drinks. Lately not been eating much in 3 months. So I need to go for liquids and summer will be coming. I don’t know to cold and too hot in SoCal. I love smoothies, and I’d love to be able to make juice also, but that’s not a job my blender can handle. I really like the compact size of this juicer also, and anything that’s easy to clean is a winner in my book. Thanks for the great review! I would love to own one! My family needs to start eating more fresh greens and fruits and who doesn’t love juice! This sounds Luke an easy way to get some good things into my families bodies! The fact that the Platino Juicer doesn’t run fast is a plus! This means it won’t cook the juice which destroys vitamins. This juicer being compact is perfect because I have a tiny kitchen. I have been looking for a juicer for quite some time and I think this one’s for me. I want one that is easy to clean and one that efficiently juices my fruits and vegetables. My daughter and I both have chronic illnesses and the smoothies we could make with this will help us to maintain a healthy diet filled with fresh fruits and veggies. I love the idea of a slow juicer. Easy to clean and does a great job making it into juice which, hopefully,will inspire my young child to drink healthier beverages and me to set the better example by drinking them too. I like that it’s BPA free. I also think it’s a cool function that it re-squeezes it a second time. This is intriguing. My son loves juice, and my daughter is just old enough to start drinking juice. I would love to give them fresh, healthy juices instead of fake ones. This juicer looks a lot nicer than the juicer we had. I think it was an Oster? We wore it out I guess, the blades wouldn’t turn and food would get caught in areas and make a mess or shut the machine off. The way this one is designed I can’t foresee the troubles we had happening, which would be nice. I wonder if the cleanup for this one is better than our old one. I’ve never tried “juicing” before, but 2014 needs to be done healthier than past years! I would like to try this juicer. That it’s easy to clean and doesn’t take up much room are definitely pluses. I would like to make some homemade v8 juice. I’ve been searching for a really good juicer for awhile now and think this might be the one. I love that it separates the skin, pulp, etc from the juice in a separate containers. So, I can add them back in if I wanted to or use it in recipes to not miss most of the nutritional aspect of juicing. It’s BPA free so better for you and the environment. Sounds fabulous! I am glad to learn this is easy to set up, and easy to clean. My mom had a juicer, and it was a pain to clean and take apart. That fact turned me off from getting a juicer, but after reading your review, I am hopoing to be able to get one of these soon. I believe this is a phenomenal product for anyone wanting to be fit and healthy.A product that can avoid sugary products and make a nutritious drink from fruits and vegetables.This will provide the body with as much healthy vitamins needed for a healthy nutritious body. This is exactly what I have been looking for. I have recently started living a more healthy lifestyle to lose weight and to be healthy again. I am also looking to stop drinking the juice that has so much sugar in it. With this juicer I see that I would be able to still have juice like before without the added sugar! I know water is good but sometimes its nice to have a glass of juice. Also an easy way get some vegetables in my daily diet. I would love to try this juicer for its slow juicing technique. The natural process of extracting juices to maintain a healthy outlook on life.Thanks. Do you find juicing to be expensive? Or have you find ways to reduce the costs. Another concern it’s good waste and taste. How do you balance taste with all of the essential greens while eliminating all the assists in fruits and some vegetables? would like to try making my own jucie. I find it interesting that it can extract all that and that well without squeezing or shredding everything. My mom gave me a juicer to try out that was, I would have to say, at least 15 years old and it was a horrible experience!! I was quite a mess and really didnt get any juice out of anything that I put in there. I would love to win this so that I can finally experience juicing like it is suppose to!! We have a juicer right now (Probably the cheapest you can buy) and it shoots so much juicy pulp out! I feel like there is so much juice it is wasting 🙁 I love it review and it is really making me contemplate putting ours to rest. I’m actually in the market for a juicer and have been reading reviews on Amazon, trying to decide which one to get… I want to incorporate ‘ginger root’, which is ‘hard’ on juicers.. Was great reading about this one, as I’m not familiar with this brand. I have tried many juicers, and my biggest complaint is the size. Juicers are HUGE! I love that this one is slim and still effective. I also love that you can put a whole orange in! My current juicer (which needs to be replaced) has a spinning juicing attachment for oranges and lemons which is just another thing to clean. My only question is the sound. In my experience juicers are LOUD. How is this one? The juicer itself is very quiet. It has a bit of a hum to it when it’s working. The closest I have ever seen to it being noisy was with a pineapple that wasn’t ripe enough, and that was still very quiet. I asked my husband’s opinion just to be sure and he said it’s not a nuisance noise, more just like the sound of any machine being on. My dad was recently diagnosed with terminal lung cancer. Many of the natural healing methods suggest juicing. I would love to get my dad into it! I too would be a super excited if I were to open up a juicer and use it for the first time. Thanks for the review you made me excited to read it! This looks awesome! I have been wanting to start juicing. I would love one of these! I would love to get this juicer. I usually fast for a week every month and this would be ideal. I love the benefits of drinking fresh juice from your juicer. This looks great for smoothies. It is so innovative. i can think of soo many possibilities with this bad boy i love its sleek modern style aswell! I’ve been wanting a juicer forever! This one is at the top of my list because it seems to produce the best juice; the fact that it’s compact, lightweight & easy to clean is a great bonus! Thanks for the review, I’m sold! We love fresh juices – I especially ADORE Carrot Juice (and Carrot with Spinach or Kale) I would love to experiment with all kind of fruit and veggy combination. The ease of use and cleaning is a big plus too!. Would love to win this genuinely wonderful and thoughtful prize. Thanks! Being able to make my own juice would be a luxury, and so healthy too. I have been eating a plant based diet for several years and have been recently researching the benefits of juicing. The Fagor Platino looks like the ideal tool for adding more fresh juice to my diet. Thank you for the informative review! Thanks for this review. I am curious to know about the noise level. Was it loud, medium or low? I have been thinking about juicing for a while. I really want to start now because after I have surgery, they recommend to juice. This is a really nice juicer. We have been wanting a professional type juicer like this for some time. After my cancer treatment I want to eat healthy. This juicer sounds like great for making healthy drinks in the morning. I like that it is easy to clean. The word slow in the products title really caught me. Who wants slow these days? Hurry, hurry, hurry! This is a very thoughtful review. Thanks! This juicer looks very nice. Thanks for the interesting and informative review! I’ve always wanted to try juicing, but have been hesitant to get one of those heavy machines I see in the stores. This looks so much less intimidating! I never had a juicer before, but I do buy fresh juice drinks. I think I would really enjoy this, it looks wonderful. I have been wanting to purchase a juicer. However, they always look like they would be a beast to clean and I had no idea if they really worked or not. This one looks great! Off to shop! Slow juicer and slow cooker, my kind of kitchen.